When it’s been a hard week, we need someone to cuddle, make yourself a good friend! These are such adorable softies. Perfect for kids and adults! These Sewing tutorials will make your day! Keep and eye out for a sewing pattern release in the coming weeks and the count down til… Christmas! Oh Yeah! 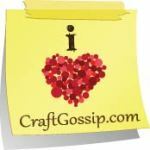 I hope you’ve had a successful sewing week and enjoy these Friday Freebies! Check out more Friday freebies here and my Free patterns here!